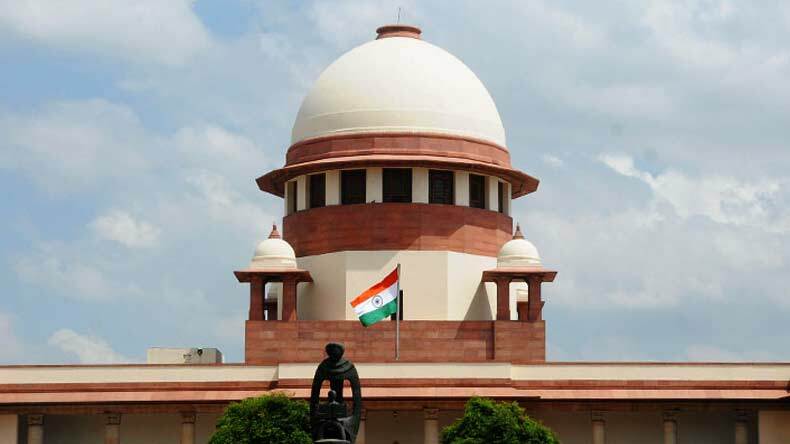 The Supreme Court while responding on Chief Justice of India (CJI) Dipak Misra impeachment motion issue on Friday said that the discussions on impeachment were unfortunate. The top court also mentioned that it was disturbed over politicians statements against the judiciary. The Opposition parties earlier in the day had moved notice to the Vice President and Rajya Sabha chairman Venkaiah Naidu. After opposition parties moved the impeachment motion against the Chief Justice of India (CJI) Dipak Misra, the Supreme Court while responding on this development said that discussions on impeachment were unfortunate and that it was disturbed over politicians statements against the judiciary. On Friday, opposition party leaders led by Congress veteran Ghulam Nabi Azad submitted the notice to the Vice President and Rajya Sabha Chairman Venkaiah Naidu. Meanwhile, the Supreme Court bench headed by Justice AK Sikri and Justice Ashok Bhusan has also sought Attorney General KK Venugopal’s reply over the issue of media reporting on the impeachment issue. This move by the Supreme Court has come after a petition was filed by Pune-based lawyer organisation seeking an interim ban on the media coverage on the impeachment issue. However, the Supreme Court rejected the petition and said that it will wait for Attorney General’s reply on the matter. The court will hear the matter on May 7. Amid all this, Finance Minister Arun Jaitley has also slammed the opposition for moving the impeachment motion against CJI Dipak Misra saying that they were using it as a political tool. In a long Facebook post, Arun Jaitley said that Congress party and its friends have started the practice of using impeachment as a political tool. In his preliminary reaction to the impeachment motion filed today, Finance Minister said, “it is a revenge petition after the falsehood of the Congress Party has been established in the Justice Loya death case.” Arun Jaitley wrote in his Facebook post.